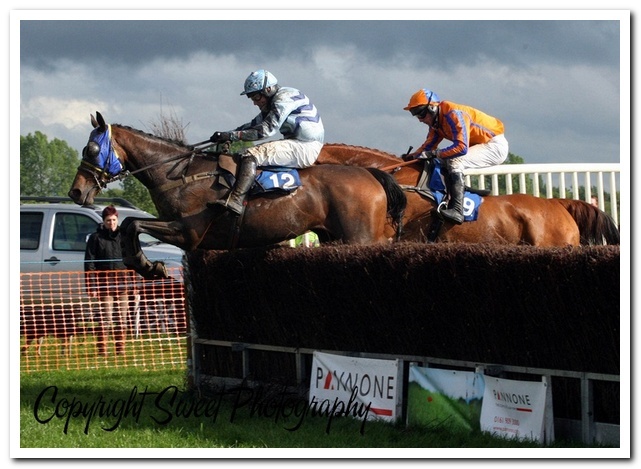 The North West Hunts Club meeting at Tabley was one for the true point to point enthusiasts, as the meeting was subjected to heavy bursts of rain during the majority of the racing, which resulted in a very low turn out of racegoers. 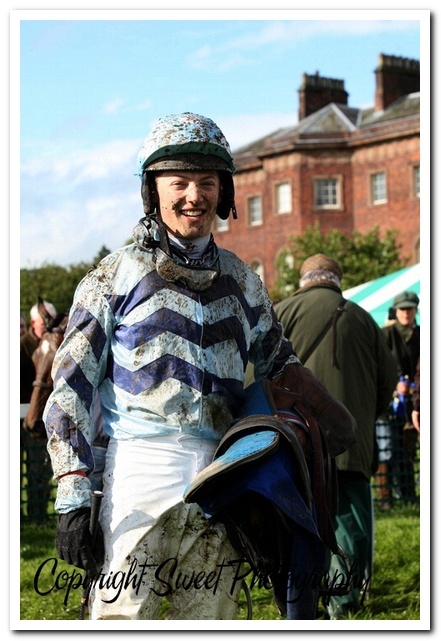 It turned out to be bumper day for rider Tom Greenall who completed a four timer on the course. Yorkshire trainer Cherry Coward took the training honours with a treble. 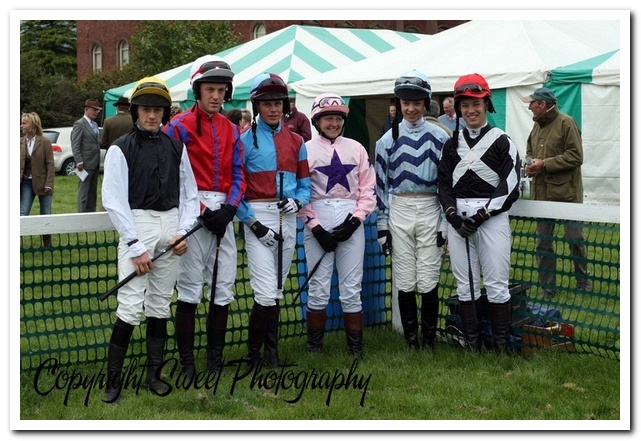 The feature race on the card was the Dodson & Horrell PPORA Club Members Championship Final for novice riders. Only five runners went to post but they were a quality lot, coming to the last fence there were virtually three in line, but Grenfell under Sam Twiston-Davies found the better turn of foot to win going away by two lengths from Toby Greenall on Pristine Condition. 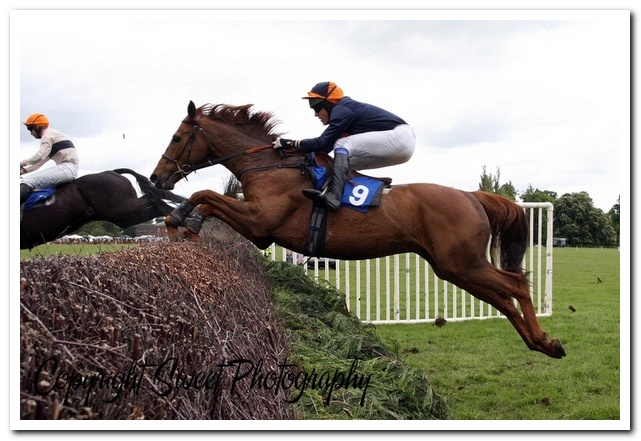 Texas Ranger with Alison Pocklington a further 6 lengths back in third. 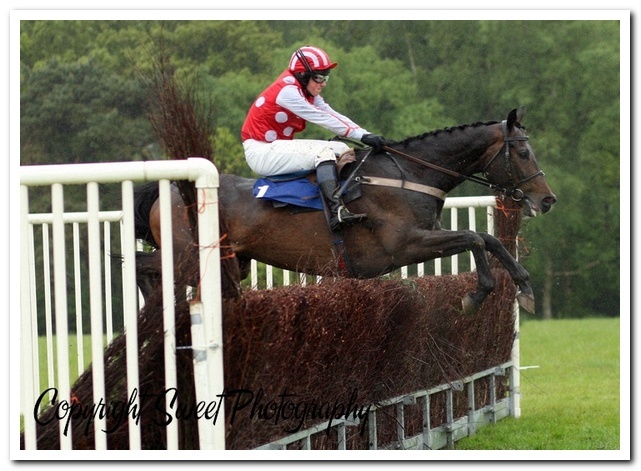 The winner is trained by the riders mother Cathy Twiston-Davies. The winner of this race last year was Rhys Flint who is making a name for himself riding under rules. 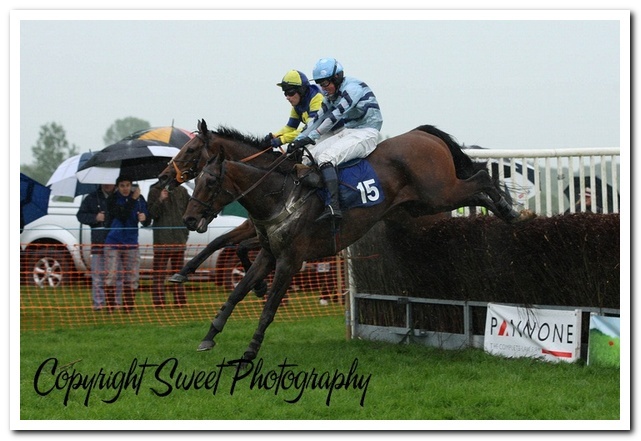 Lagosta with Rachael Reynolds in the plate ran out a very comfortable 12 length winner in Ladies Open over the jolly Flashy Boy ridden by Hannah Burton. 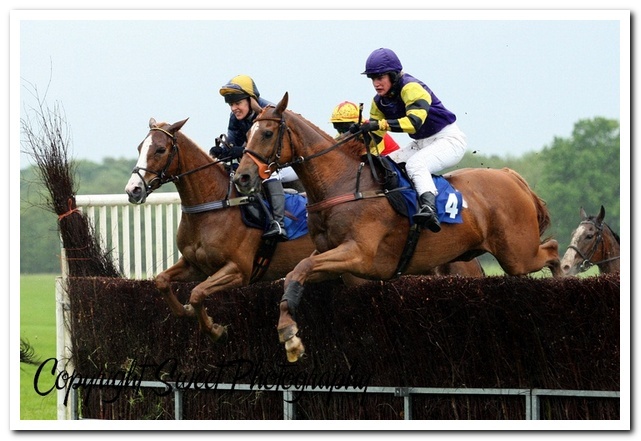 The Fort Wood gelding is owned and trained at Ludlow by Steve Graham, his charge was winning his second race of the season after previously finding the winners enclosure at Maisemore. He was given the horse as a gift two years ago by Martin and Angela Roddis, who he used to work for ten years ago. The opening Open Maiden was won in good style by Tom Greenall on Ahwaak, the combination quickened up well to beat Lazzari by 6 lengths, with Shales Ay Jay a further 8 lengths back in third. The winner is trained at Newmarket by Emma Candy, the daughter of trainer Henry Candy. The gelding is owned joined Rupert Erskine Crum and bloodstock agent David Redvers who owns Tweenhill Stud, the winner was bought at the Doncaster Sales by Redvers for £4,200 gns, having originally cost £500,000 as a yearling. The second of Tom Greenall’s winners came aboard the progressive Scrappie in the Men’s Open, the gelding found a nice turn of foot of the run in to beat Wickford under Adrian Wintle readily by a length and a half. The winner is trained in Yorkshire by Cherry Coward and owned by the riders father Lord Daresbury. 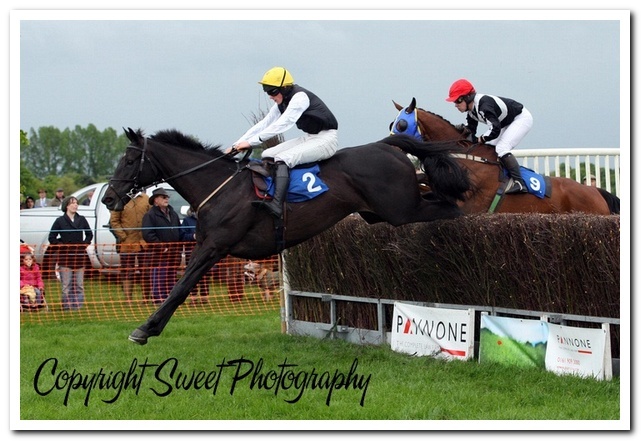 The same combination of owner trainer and rider were back in the winners enclosures following the success Ile De Paris in the 10 year old and upwards club members race, Fresh Love with Will Telfer in plate was second, with Noble Persian under Burtie the well backed jolly in third. Cherry Coward and rider Tom Greenall rounded off a good day when Aldea ran out a cosy winner of the Restricted beating Petina with Trocadeno third. Adam Wadlow had the choice of riding Ricky B or Le Seychellois in the club Members Race, he chose Ricky B who was unplaced. Le Seychellois was ridden by Will Kinsey and came home unchallenged by an easy 20 lengths from Classic Shot, Lambrini mist was a neck back in third. 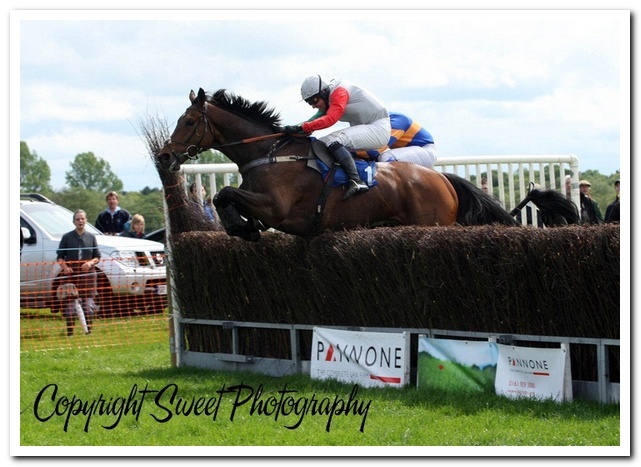 The winner is trained at Red Wharf Bay in Anglesey by Richard Hewitt who said afterwards that he told Adam Wadlow that he thought he had chosen the wrong one to ride, but Kinsey’s not complaining as this was his second winner of the season.